It is once like that. Statement necklaces are passé, even though I liked this trend very much. 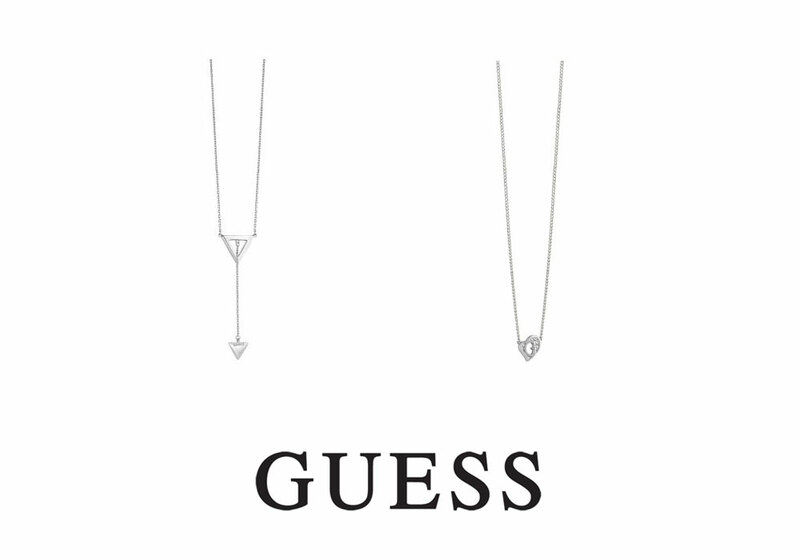 The current trend is entirely different - simple and understatement necklaces with delicate meaningful pendants. The minimalistic wave engulfed me as well and today I will show you, how I understood to wear it. First rule is to wear more fine necklaces at once. Do not fear to combine them; two, three or even four. You can choose the same design and use it twice in the outfit. Only adjust the length and they will excel both. Great looks are also made by three different chains and adapted lengths – trust me, it will look cool. Today is allowed to combine everything. Even silver with gold and by doing so you can not go wrong. Combinations like this, for example with Swarovski and Pandora are acceptable, but still did not catch my heart. 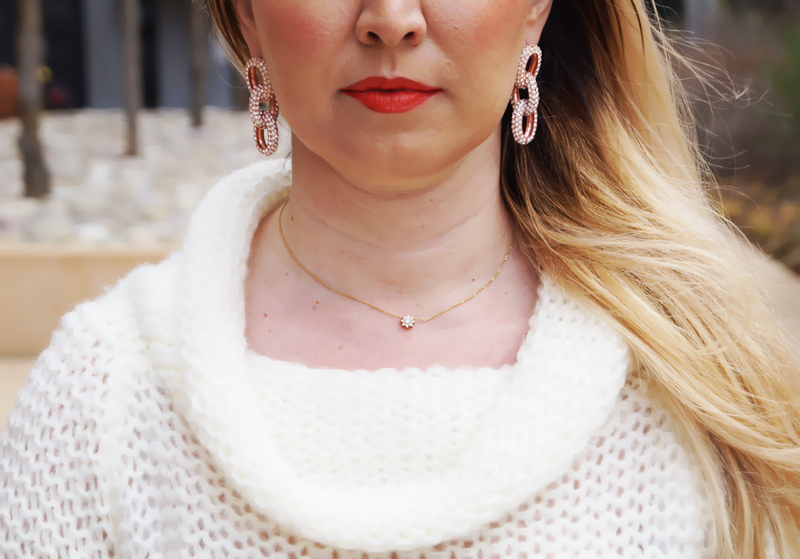 An example for inspiration, I chose the jewelry from my four favorite brands - Esprit, Guess, Pandora and Swarovski, which have a great selection of minimalistic necklaces. All these brands have a sounding name, you certainly know them very well and I do not need to introduce them. 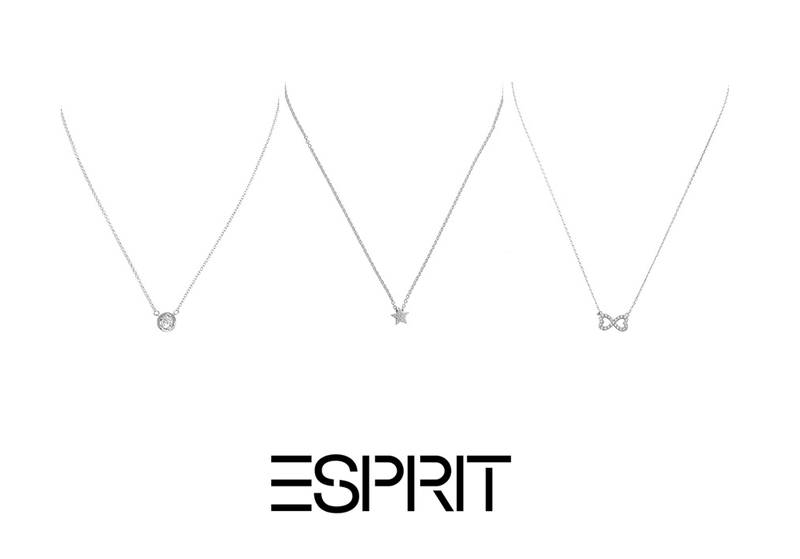 I learned recently, by attending the latest collection in the showroom, that Esprit has surprisingly a wide range of jewelry, which match the current trend efficiently, combined with a large selection. The jewelry looks really nice and sophisticated, made of silver or stainless steel. 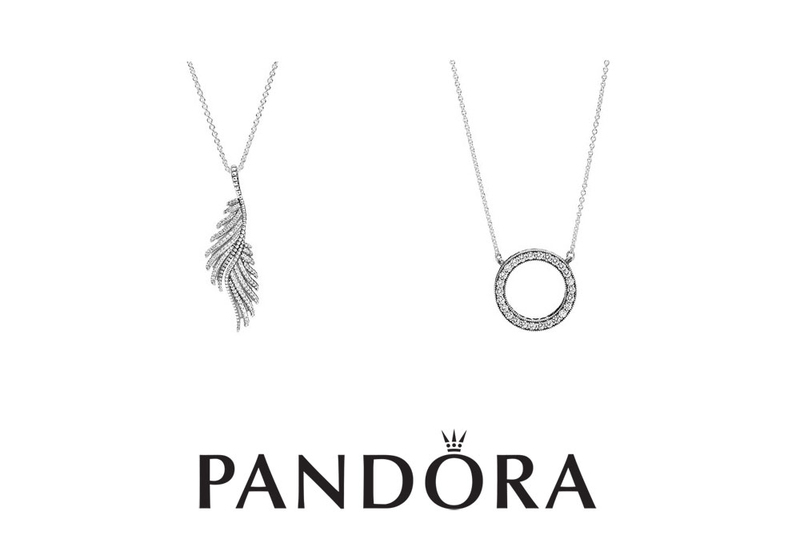 Also Pandora and Swarovski started to follow this new trendy and minimalistic style. In the attachment you will find some interesting pieces, which underlines the described pieces the best. My extensive research allows me to honestly tell you that the mentioned brands are the best pick in relation to cost, quality, trendiness and appreciation. Do you share my view of this new trend? Už je to raz tak. Stejtment náhrdelníkom odzvonilo. Dnes je trendy niečo úplne iné – sú to jednoduché a decentné retiazky s jemnými príveskami. Dlho som očakávala návrat výrazných náhrdelníkov naspäť do módy, no nestalo sa tak. Minimalistická vlna pohltila aj mňa a dnes vám ukážem, ako s minimalistickými retiazkami naložiť a ako byť in. Jemných retiazok sa nosí viac. Nebojte sa ich nakombinovať dve, tri alebo dokonca štyri. Môžete zvoliť rovnaký dizajn retiazky a použiť ju v outfite dvakrát. Stačí len upraviť dĺžky, aby vynikli obe. Dobre tiež vyzerajú tri rôzne retiazky a ak sa pohrajete znovu s dĺžkami, bude to pecka. Dnes sa už môže kombinovať všetko. Dokonca aj striebro so zlatom a vôbec tým neurobíte žiadnu chybu. Takéto kombinácie som videla jak u Swarovského, tak u Pandory, ale mňa osobne neoslovili. Pre inšpiráciu som pre vás vybrala šperky mojich štyroch obľúbených značiek – Esprit, Guess, Pandora a Swarovski, ktoré majú veľký výber minimalistických náhrdelníkov. Všetky tieto značky majú zvučné meno, určite ich veľmi dobre poznáte a netreba ich predstavovať. Neviem ako vy, ale o tom, že má Esprit vo svojej kolekcii okrem oblečenia a hodiniek aj šperky, som sa dozvedela len nedávno a to pri návšteve Esprit showroomu. Bola som očarená. Šperky vyzerali na pohľad naozaj pekne a kvalitne prepracované, vyrobené zo striebra, či chirurgickej ocele. Rovnako ako Esprit showroom, som navštívila taktiež showroom Pandory a Swarovského a pre inšpiráciu som do obrazovej prílohy vybrala niekoľko zaujímavých kúskov v téme minimalismus. Tieto štyri značky som vybrala preto, pretože sú si cenovo veľmi podobné, kvalitné a ich produkty vyzerajú skvelo. Ktorý náhrdelník vás oslovil najviac? Ačkoliv na řetízky moc nejsem, už delší dobu plánuji nějaký ze stříbra nebo ocele. Mooc mě zaujal ten s tou hvězdičkou, asi jsem se zamilovala :D Ještě že jsou ty vánoce ... Moje kreditka teď utrpěla hodně, nejdřív nová kabelka, kufr, letenky... Musím napsat tomu ježíškovi ( anebo mamce ). Měj se krásně ! Awesome necklaces! I love all! Aww these necklaces are so pretty! I like this trend and glad it is back as I am petite and did not care for the statement necklaces. Yes. I love simple necklaces. The one´s with the stars are my favourites! Yes, a simple necklace is all i need for a clean, classy look. I was always skeptical with simple necklaces, i find it just too plain. But when you suggested wearing it in layers, my perspective begin to change. I find the idea more versatile than wearing one bold statement necklace. Great choices! I love minimalistic necklaces! They are always so elegant! They're all stunning!! Love it!! I really love that! I really love those necklaces that doesn't need to be BIG just to show to everyone! I love that! I'm in love with the jewellery by Esprit... so understated, yet beautiful! There are some pretty ones there! I notice my granddaughter is a step ahead- she's been layering her necklaces for some time now. I'm not big on statement necklaces, I prefer simplicity. Those shown are pretty & something I would wear. I like the star pendant. I wear minimalist necklaces every day. I love how they look! Swarovski and Pandora are two of my favourite brands. Love their elegant looks. Some of these necklaces are too delicate and dainty for me.